Get Rid of a Squeaky Garage Door With Garage Door Lubricant! Who doesn’t hate the squeaky noise that a garage door makes every time it opens and shuts? If your garage door is making those annoying squeaky noises it’s time to lubricate that bad boy up! How do you do that exactly? Which garage door lubricant should you use for the various components of your garage door? Find out below how you can, easily, lubricate your garage door with the WD-40® Multi-Use-Product! The body parts that are most prone to getting damaged while cleaning the garage door are, obviously, your hands. The importance of protecting your hands against incidents—such as a heavy garage door crushing your hand as it closes—cannot be stressed upon enough. The most important precautionary measure to take, therefore, before going forward with the cleaning process is ensuring that the door is closed. 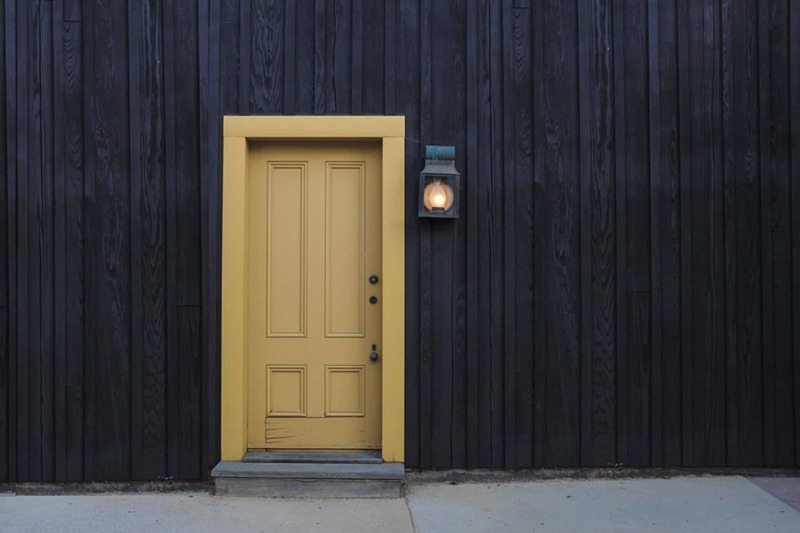 It is imperative to ensure that the door is closed because it will, not only, make it easier to lubricate but, at the same time, ensure that it does not close down with your hand in the way. So, pull that release cord before getting on with the process, will you? After ensuring your safety, the next that you should do is clean that garage door of yours. Take a rag rub it against the door, vigorously to get rid of any dirt, debris and old lubricant that might exist. It is advisable to be thorough with the cleaning job such that you are able to see the metallic surface underneath, free from all kinds of dirt and debris, after you are done. Removing dirt and debris is important. 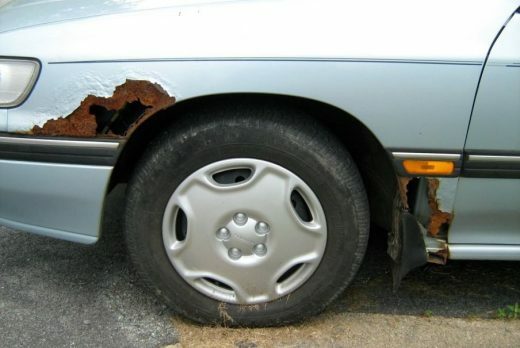 But it is more important to take care of any corrosion that might exist. Why? Well, that is because rust and corrosion are one of the main reasons why your garage door might be squeaking in the first place. 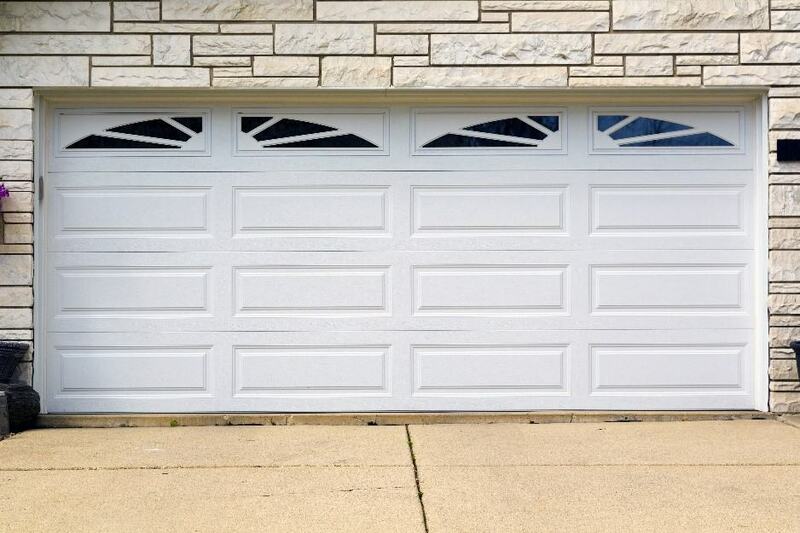 Getting rid of any existing rust is important, therefore, to properly lubricate your garage door. WD-40 can be used effectively for this purpose. The fact that makes WD-40 a good garage door lubricant is the fact that it gets rid of the rusted components and areas as well. One can of WD-40 is enough to take care of most of your garage door lubricating needs. Before moving on to the lubricating side of things, you need to check to see whether or not the manufacturer of YOUR garage door recommend the use of garage door lubricants for the roller tracks and wheels. All sets of roller tracks and wheels DO NOT support the use of lubrication on them. If it is supported, however, then drop a few drops of lubricant along the path of the roller tracks. Put a drop or two on each of the wheels as well. Remember to cover all of the areas involved in the wheel-track mechanism, including the areas inside of the wheels and the front of the tracks. There are several lubricants that can be used, but it is not advisable to use oil, for it might, on certain occasions, cause the wheels to slip off of the roller tracks. Remember, also, that this method is not for you if the wheels of your garage door are made up of plastic. Ask homeowners the question, “How often do you lubricate your garage door springs?” and I am sure that a majority of them will scratch their heads as they reply, “Never”. Such are the circumstances that the springs on garage doors face these days. What have they done to receive such treatment? Don’t they deserve some much deserved lubrication too? Yes, they do! When lubricating the springs that are located at the top of your garage door, it is important for you to know that they are not to be touched under any circumstances, whatsoever. Therefore, it is advisable to use a spray based lubricant for the purpose of lubricating these springs. WD-40 can be use effectively for this purpose, exactly, considering the fact that it is not only a lubricant but also serves to get rid of any rust that might exist on your garage door springs. Finally, to complete the job of lubricating your garage door, it is important to lubricate the less obvious components, such as the hinges and the drive shaft. Lubrication of all of the relevant components, every once in a while, ensures that your garage door will work efficiently and noise-free for a long, long time. There is a large variety of garage door lubricants, available in the market, for garage owners to choose from. Grease, oil and silicone based lubricants are, all, renowned and commonly used lubricants. However, did you know that there are circumstances when these lubricants are not effective for the purpose of lubricating your garage door? Grease is an obvious choice for a lubricator. However, the problem with grease is that it attracts dirt and grit. The use of grease is, therefore, not recommended for open parts. But for closed places, such as cars, where dust and grit do not hinder operation, grease can be used as an effective lubricant. The use of oil as a lubricant is not advised for garage doors because, as we had previously discussed, the use of oil as a garage door lubricant can cause the door to clump. Silicone based lubricants can be used to, effectively, meet the lubrication needs of your garage doors. 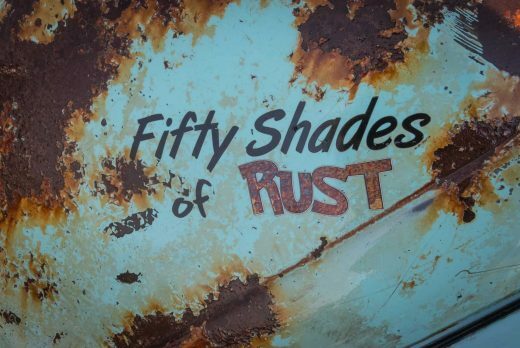 However, the problem with them is that they cannot do anything about rust prevention and removal. You can try WD40 Specialist Silicone spray for this. WD-40® is one of the most commonly used household sprays. It can be used as an effective garage door lubricant owing to the fact that WD-40® can protect metals from corrosion. For a lasting impact however, the combination of WD-40 and silicone based lubricants. Now you know the secret of the best possible garage door lubricant. Want to buy WD-40® Brand products? 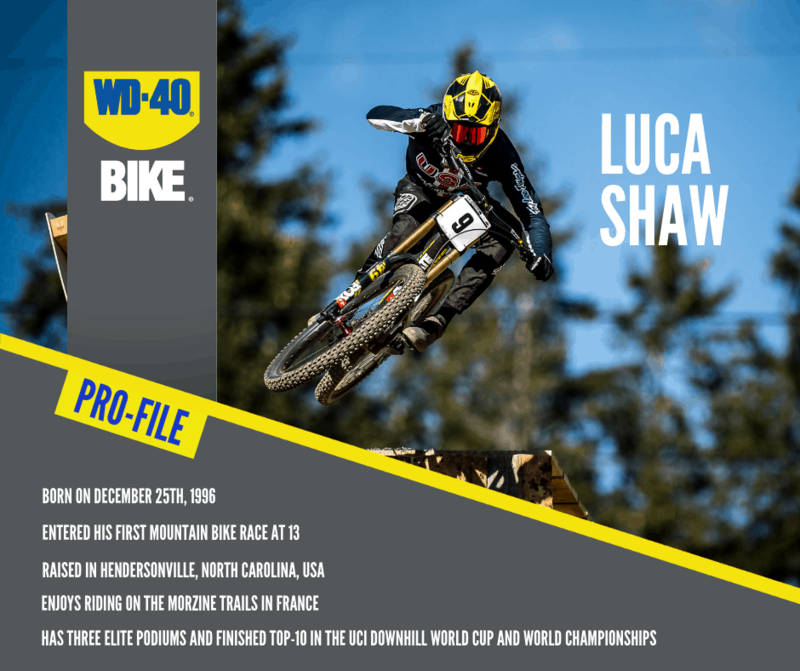 WD-40 Brand products are not just used by professionals at work and DIY enthusiasts at home but also by sportspersons and teams around the world. 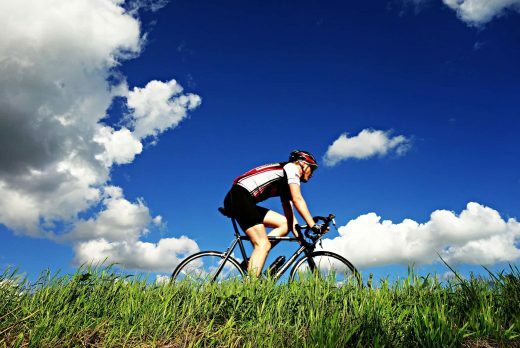 Get a Clean Bike With These Steps! 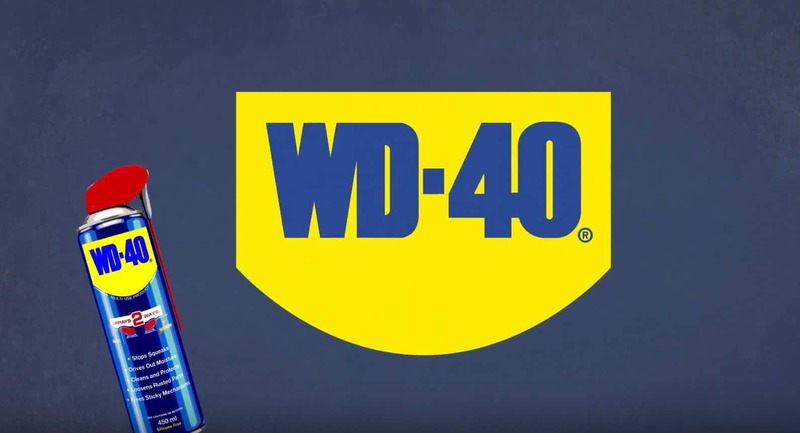 WD-40 is a global organisation dedicated to creating positive lasting memories by developing and selling products which solve problems in workshops, factories and homes around the world.